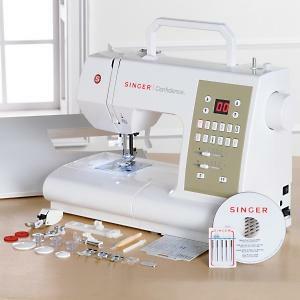 Experience a quilter's dream with the Singer Confidence Quilter Sewing Machine. 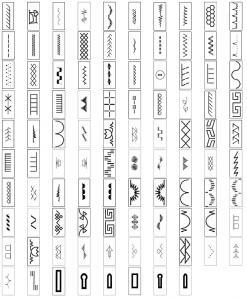 Let your creative juices flow with the 98 creative stitch patterns, 7 styles of 1-step buttonholes and a plethora of features. Create beautiful quilts with basic stitches, appliques and a wide selection of decorative stitches. Receive 4 extra feet in this exclusive configuration that is sure to equip you for all your quilting needs. SINGER® CONFIDENCE QUILTER™ 7469Q Sewing Machine Stitches. This sewing machine features 98 built-in stitches, which are displayed on the retractable stitch chart. Received the sewing machine in three days. Singer sewing machine is wonderful. Exactly what I wanted. Thanks you so much for the lowest price around. I was most impressed with the promptness of the Singer delivery. I ordered it prior to New Year's Eve -- AND, you were outsourcing to Singer Co. -- and still the machine was at my door promptly, and in good shape. My ability to 'track my order' is an outstanding service. Allbrands.com provided good selection of products at very good prices. My order was processed, shipped, and received quickly. I will use your site again. I am very satisfied with this purchase, and I am glad I purchased this item from allbrands.com. Thanks for your promptness.